“I watched him walk away as a single tear rolled down the side of my cheek behind my big sunglasses. The soul-crushing sadness washed over me. 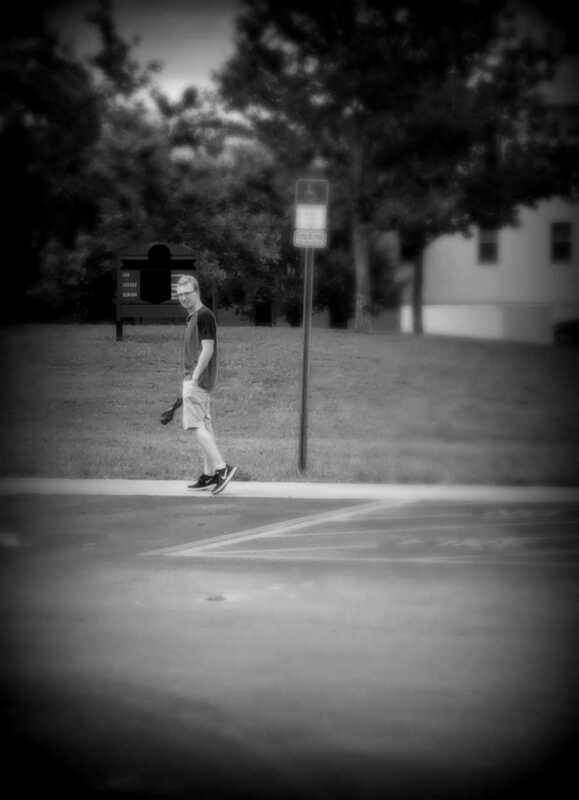 He turned around one last time before entering the building and gave me a small, sad smile. I wanted to tell him just one more time how much I loved him and how proud I was of all that he has accomplished. I wanted to tell him I was sorry for all the mistakes I had made as his mother. I tried my best, yet there were so many times I struggled and felt as if I had failed him. I wanted to remind him to make good choices and have fun. I wanted to tell him to find his tribe of friends that will last a lifetime. The kind that will tell you when you mess up and stand up for you at your wedding and love your children like their own one day. I wanted to tell him to be careful, to wash his sheets and to never get in the car with someone who had been drinking. I wanted to tell him that I believe in him and pray for all of his dreams to come true. I wanted to remind him to be kind and respectful and help others. I wanted to tell him to be humble and honest, to work hard and dream big. I wanted to tell him to study hard and do his homework and not to eat pizza every night. I wanted to remind him to clean his toilet and brush his teeth and clean the lint out of the dryer vent. I wanted to remind him to turn off the stove when he was done cooking and never leave popcorn unattended in the microwave. I wanted to tell him to sit with the lonely and stand up for what he believes in and to stay true to himself. Be real. Be authentic. Be you. I wanted to remind him that God is always with him and to let God’s light shine through him in all that he does. I wanted to tell him to have a blast, take risks, be bold and adventurous. I wanted to remind him that no matter how big he gets, I will always be his biggest fan. But I didn’t say any of those things to my son. 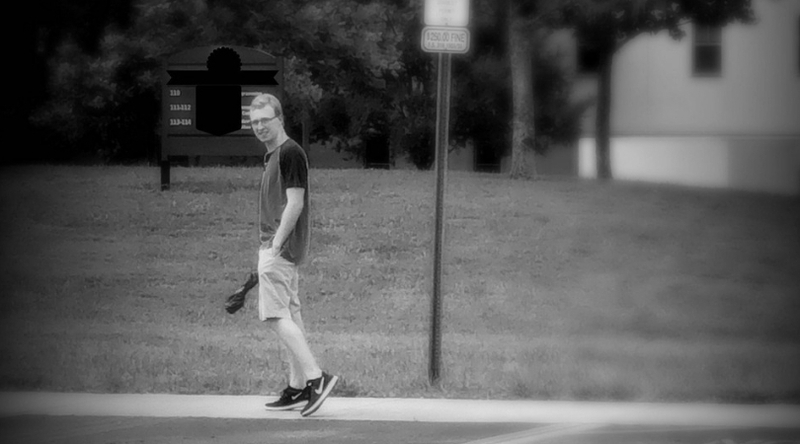 Instead, I mirrored his small, sad smile and waved good-bye as I watched a piece of my heart walk away… to start his new life at college. I closed my eyes and took a moment to embrace this overwhelming sadness in this bittersweet moment, marveling at how I could feel so lost yet so proud at the same time. At this point forward . . . life will be different. Not bad, not worse… but never the same again. It will forever be coming and going and no longer staying. It will be recognizing that my son is now an adult and is in charge of making his own decisions. It will be taking a step back… no longer a caretaker in his life, but yet always there for him if he needs me. It is letting go of that little boy who loved Ninja turtles and Legos and embracing the man that he is now. He is ready and this is his time to grow and shine and learn and thrive. As a mother, you spend your whole life preparing your child to leave you and when that moment comes, it’s heartbreakingly amazing and awful at the same time. As we make the long drive back home, my heart just aches. I know it’s okay to be sad. It’s okay to admit this is hard. It’s okay to have a good cry. But I also know that I can’t stay in this place of sadness. I have to put on my big girl pants and wash my face. I have to thank God for this glorious gift of motherhood that is both hard and beautiful. I have to keep moving forward with hope and gratitude for each day. I remind myself that I can do hard things. And I know I can because that is what motherhood is all about . . . surviving the hard and loving boldly through all the messy, all the ordinary, all the beautiful, heartbreaking moments. I’ve been doing this since the day he was born and I will continue to do so in this letting go season. And always, I will thank God for my son who will forever hold a piece of my heart. When we finally get home, I realize that I did it… I survived college drop-off which is a day I had been dreading for years. And I notice that my sadness is slowly being replaced with a feeling of excitement and anticipation because I am already looking forward to that day when my son comes home and walks through my front door again.